If you are looking to kit out the bride to be with a special little number then you've just found one serious contender. 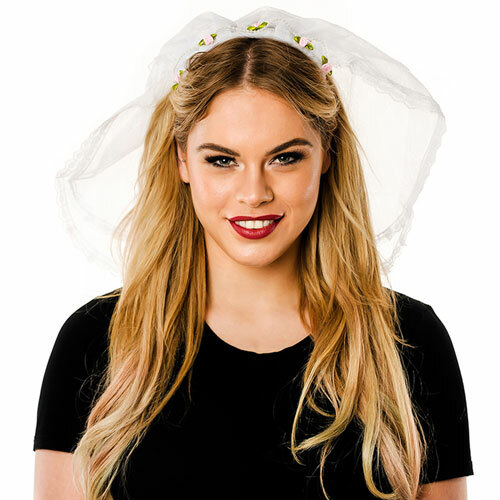 This gorgeous white hen party veil comes complete with pink and white stars attached to the material which are sure to make the hen sparkle on the big night. 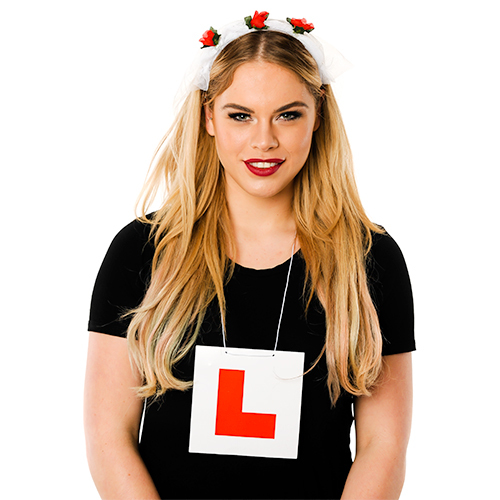 This fantastic accessory will go well with a wide selection of other items we have available and is sure to not only make the hen stand out but also to put a great big smile on her face for the duration of the night. This product attaches to the wearers hair with a sturdy comb on the front so it will stay in place for the whole evening. 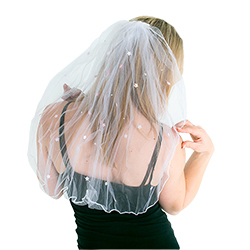 "Perfect veil for hen night. Good size, not too large but not too small. Didn’t look cheap and comb stayed attached all night. Would recommend. " "Nice pretty veil, a few stars and gems had come off but for the price I paid it was still brilliant. " "Great quality, fast delivery and cheapest I've found on the internet. Would recommend." "Does the job and good value." "Needed a veil to grip in under some Minnie Mouse ears and this was perfect. It is stiff netting which was great because it held its shape and could be structured for different looks." "Excellent detail and worth the money "
"Perfect for our bride-to-be, and used it alone, without a tacky tiara. Matched perfectly with the white bride-to-be sash." 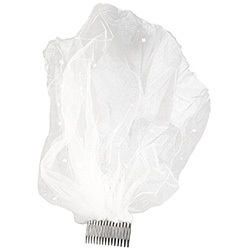 "Very nice....could hardly find any white simple veils on the high street or on line. This was reasonably priced and not too 'busy'. Great product." "Was perfect thank you- a little creased in the box but those straightened out in the day." "It will do the job." "Veil is quite small and glue is very visable where stars are." 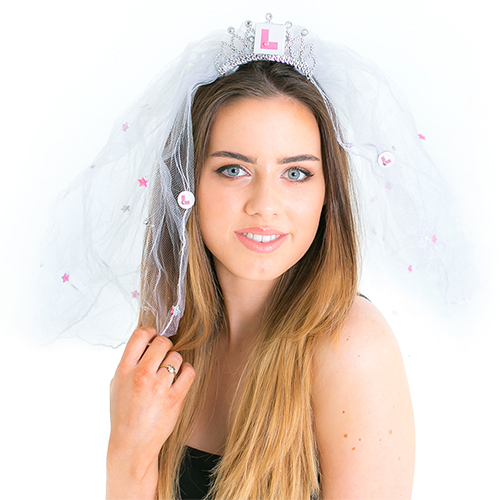 "Best hen party veil we found for the price. Bought a more expensive one for the night from somewhere else but this was much better quality and looked better so kept this one on!" "Brilliant quality for less than 4 pounds! I wore this item into a cave to have my wedding invitation photos taken!" 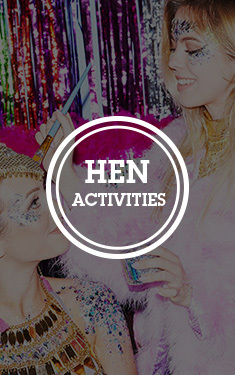 "This hen party veil was amazing! So much nicer than the expensive one we had bought for the evening!" "This was bought as it is cheap for the Bride To Be to wear while paintballing, so it didn't matter if it got messy, but it was nicer than a more expensive one I bought for her for the night out!! She'll be wearing it again, slightly paint stained, tomorrow night for her Last Night of Freedom before the wedding on Saturday." "This veil was just right! Stays in fine with just the comb... no need for extra clips. Has pink stars attached to it making it just that little bit different. No Hen should be without one!" "Bride loved this hen party veil, not too long and not too short and the stars were so pretty." 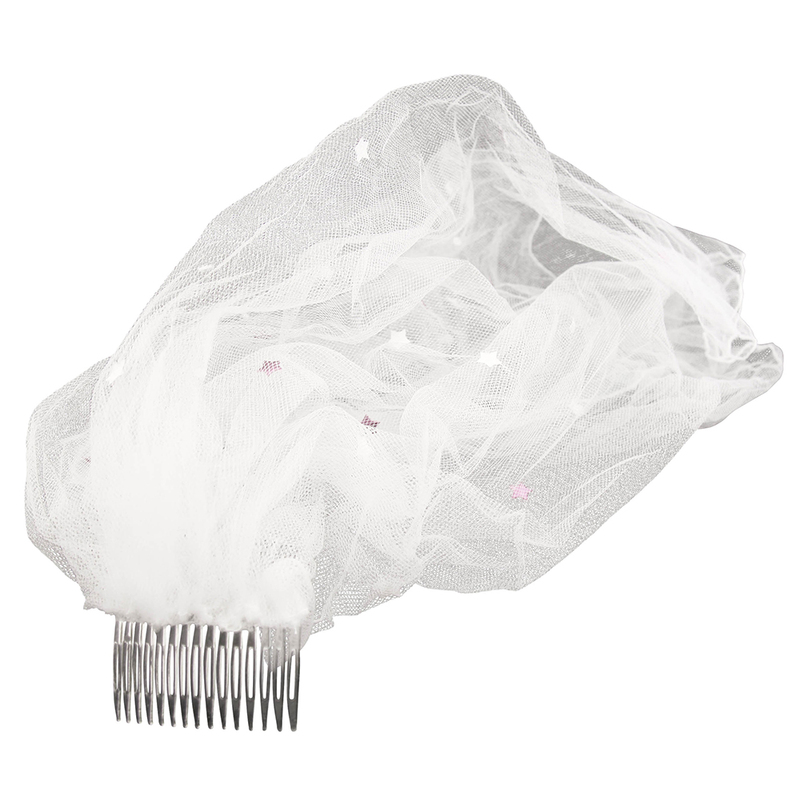 "Great hen party veil for a great price!" "Stayed in place all night, did the job!" "Looked a little sparse on arrival"
"Fun and pretty good quality!" "The bride like her veil - felt it was simple but pretty without it being too tacky as some can be." "very poor material and looked cheap"